We are manufacturer, supplier, trader of SMT Glue. These Glue is manufactured by our trusted vendors using premium quality raw material and advanced techniques in conformity with the set industry standards. 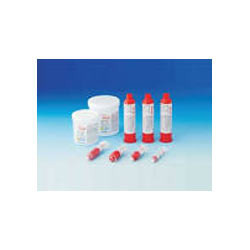 We are the leading supplier and trader of SMT Glue. U-BOND focus on the fields of electronics adhesives and sealants, commit in supply total adhesive solutions for customers. The rheology is especially adapted for high-speed dispensing. Our main focus to supply of good quality of adhesive in a lower cost. We have a wide range and variety of grades to meet specific customer requirements. Hot Melt Glue Gun Item code: GSS-788 | Last modified on: 14 Feb 2014 We have emerged as the leading manufacturer, trader and supplier of high performance Hot Melt Glue Gun. 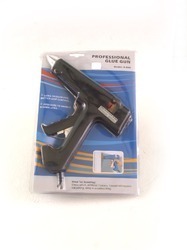 The offered glue gun is manufactured using superior quality components and latest technology. Our offered hot melt glue gun is rigorously tested by our quality controllers on well-defined parameters in order to deliver high performance at the clients’ end. Moreover, this hot melt glue gun is available at economical prices. Looking for SMT Glue ?